MMIF 2009 was a mamarvelous succes! Thanks very much to everybody involved in MMIF 2009: All the volunteers, the participants and the visitors! It was a great success, much busier then we had expected, and overal a great atmosphere in SL as well as in NL! 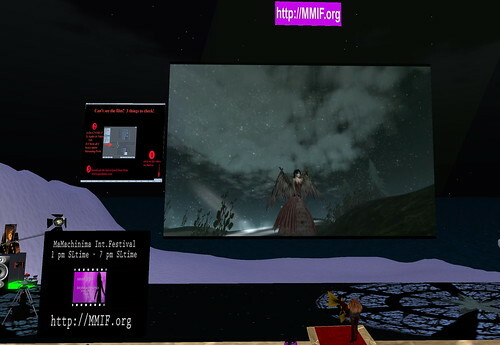 Over FIFTY machinima films were screened at MMIF 2009, the average quality was actually quite high and very talented. MMIF participants ROCK! The Rasta Views sim in SL was almost contineously full for the entire 6 hours of the festival. Some could hardly move because of the lag, at the beginning of the event it was a real issue. The sim limit had to be lowered to 75 avatars by RastaViews sim manager TributeTim Kwak. There were some technical ‘infant illnesses’ with the synchronisation of the machinima for the audience at RastaViews (SL) as well as the audience at PLANETART in Amsterdam (NL) . For many of the volunteers in the MMIF 2009 organisation, this was the first experience with such a big event. We learned a lot about logistics, software and hardware and so, valuable experiences we can use for MMIF 2010. Despite modest publicity, also the public screening at the PLANETART Medialab Artspace in Amsterdam (NL) was full at a certain point, we had to arrange extra chairs last-minute. Some people actually brought their laptop to be even more interactive with MMIF2009, even MMIF 2009 participant Alexicon Kurka unexpectedly showed up ‘in the flesh’ with his laptop computer. 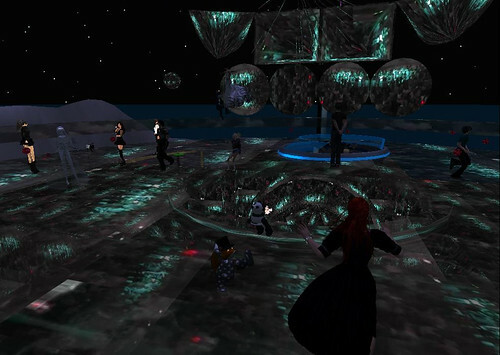 All together the athmosphere was very good in SL as wel in NL! We learned a lot about logistics, and the use software and hardware and so for a cross-reality live event like this. Valuable experiences we can use for MMIF 2010. So we are already looking forward to MMIF in february 2010. Please join us as a participant, volunteer or organise a simultaneous public MMIF 2010 screening in your city (‘RL’) and contact us please! View more images at http://flickr.com/groups/mmif and please add yours! The first edition of an annual global gathering of machinimathographers. 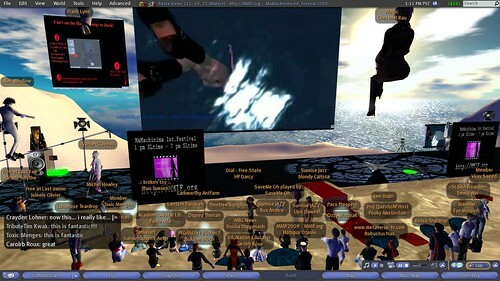 With public screenings of machinima movies inside the (free) virtual world Second Life ® (SL) and simultaneous in Amsterdam (NL). All Machinima created with all online videogames/virtual worlds/MMORPG are welcome to participate at MMIF 2009! Video’s produced inside Second Life (SL), World of Warcraft (WoW), Half Life, Crysis, Halo, Grand Theft Auto (GTA), Moviestorm, The Sims, OpenGrid, Playstation Home and so on. MMIF 2009 is not a competition, but a public event for celebration of machinima! Meeting/exhanging/sharing/learning/education of ideas, expertise and fun, in the fields of arts, media and technology on the subject of machinima. MMIF 2009 is a non/profit event run by volunteers and entirely financed by gifts and donations. 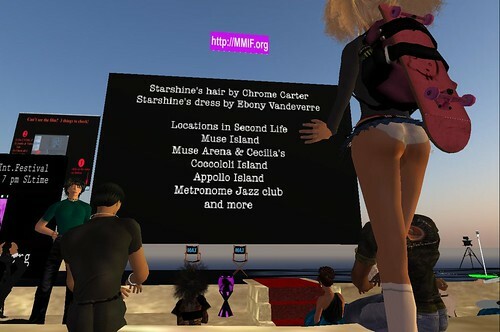 http://MMIF.org is a machinima community website created by volunteers in limited spare time. Please contribute by adding missing information to this website or correcting mistakes. In comments at the bottom of each webpage or contact us please to become a co-admin. MMIF 2010: Become a volunteer or participant. 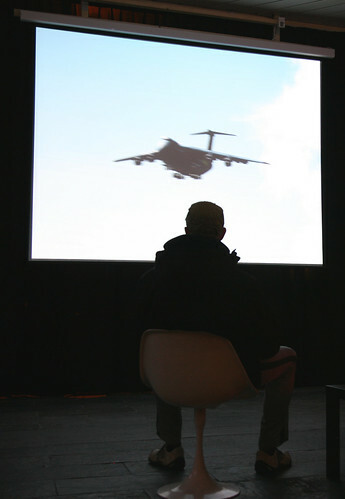 Or organise a simultanious MMIF 2010 public screening in your city, anywhere in the real physical world. Contact us please for more collaboration details. 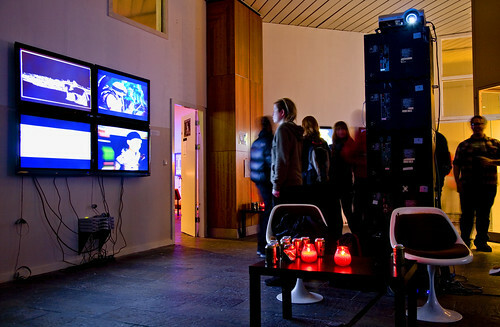 Part of the Dadamachinima expo at the PLANETART Medialab Artspace, Amsterdam.